Venomous Sand Sox are designed for terrain style sandboarders to provide an enhance and comfortable experience each and every run. 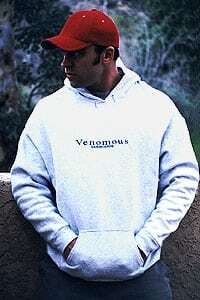 Categories: Dune Sox, Men Clothing Brand: Venomous. Tough poly-fiber socks with a tight weave to keep feet in and sand out! Cotton sock are too loose a weave for sand and absorb water as well. Polyester is the fiber of choice for sandboarders everywhere. Venomous ‘Dune Sox’ feature a super elastic fit for comfort and easy motion while wicking away moisture and protecting the sandboarders feet from surface heat and debris in the sand itself. This custom foot protection also sports the Venomous logo on the arch to proudly display you are a true sandboarder to all those around you. Sure you can wear these sock with shoes and just about under any conditions. Ask us about pre-owned sandboards!